After great success in 2007, show organisers are optimistic about this year's event. Brian Lovelidge reports. The National Fruit Show, organised by the Marden Fruit Show Society, is celebrating its 75th anniversary this year and is shaping up to repeat the success it enjoyed in 2007 - considered to be the best for many years. Trade support - always an indicator of the industry's health - seems certain to at least equal that of the past few years, when stand space was more or less a sell-out with numbers ranging from 88 to 92. The first show, organised by the then Marden & District Commercial Fruit Show committee, was held in 1933. The show's original aim of improving the quality, presentation and marketing of English fruit has remained unchanged. But while great progress has been made in these areas, there is still room for improvement. Current chairman Jeremy Scott says he is very encouraged by the support from the trade and the advertising coming forward for the society's handbook. The only disappointment, he says, is that Tesco has not booked its usual stand space and will no longer be a major sponsor after this year's show. Other sponsors are BASF, Norman Collett and Hadlow College. "Tesco's departure is very disappointing but I think it's a case of belt-tightening in all of its departments,"says Scott. "For a number of years we've been trying to get other supermarkets such as Waitrose and Morrisons on board. Morrisons has worked very hard streamlining its business - it has been advertising British produce on television and is an increasingly large player in fresh produce." Tesco's stand has been taken over by Crop Pro-Tech, making its show debut. Its sales director Rob Tasker explains that it was established by taking over an existing company, Well-Pict European Tunnels. This has been renamed, rebranded and headed by new leadership. 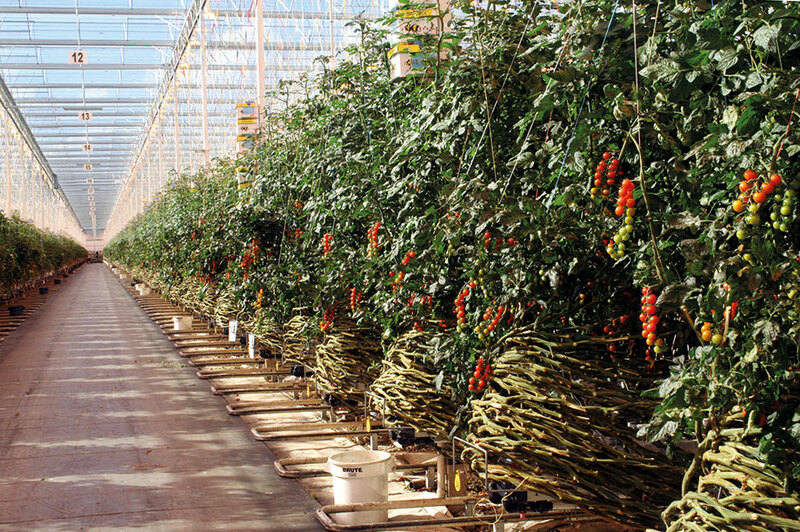 Crop Pro-Tech, which has a manufacturing plant in Portugal, produces and sells Spanish tunnels, tabletops, bed formers, polylayers, polywinders and nutritional products - some of which are aimed at the fruit market. Tasker says: "I went to last year's show on spec and decided that it covers an area we cater for and thought it would be of benefit for us to be there." Richard Wildsmith will be using the show to launch his new company, Polar Intelligent Cleaning Solutions. It offers the cleaning of "anything and everything", including all machinery and equipment such as fruit graders with dry ice in a stream of compressed air. "We can go into a (packhouse) and clean a machine with it virtually still working," he says. "There's no worry about water ingress (because none is used) and the dirt that was on the machine ends up on the floor where it can be swept or vacuum-cleaned up." Wildsmith adds that the cleaning operation is very quick - 50 per cent faster than jet washing, for example - because the dirt does not have to be soaked to soften it. Although the use of frozen carbon dioxide is a new concept to the fruit industry, it has been used in the shipping industry for many years. 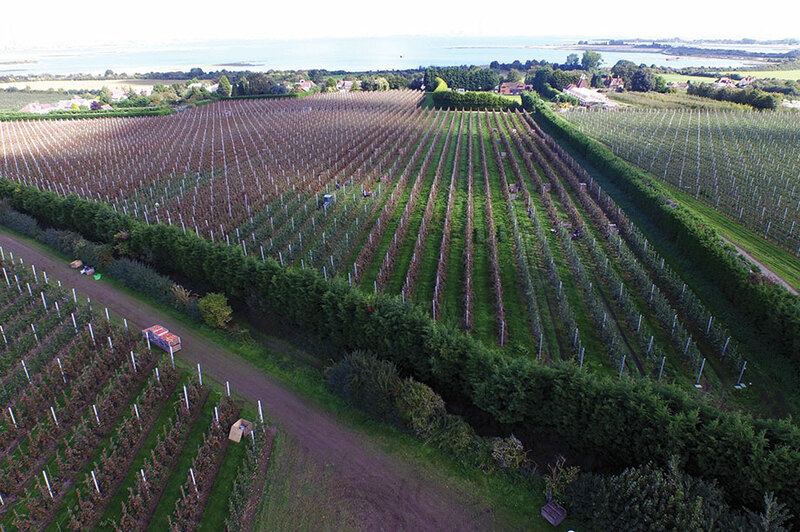 Another trade newcomer is New Leaf Irrigation based at Hopton, Norfolk. Managing director Darren Grievson says the show provides the opportunity to sell quite a lot of micro-irrigation equipment to top fruit growers. "After many years of pulling out trees, growers have started planting again (intensively) and so the market for irrigation equipment has become much more buoyant," he says. "Over the past year we have obtained a number of sizeable contracts. In the past we concentrated more on the soft fruit market." The company designs and supplies micro-irrigation systems for intensive orchards using mostly Netafim equipment. The systems incorporate low-cost, effective fertigation dosing equipment. It's also Buckinghamshire-based Plant Health Care's (PHC) debut at the show. For the past two years, Farm Advisory Services Team (FAST) has been trialling and selling PHC products, and its stand is situated between FAST and the University of Reading. The latter is also at the show for the first time because, with FAST, it is looking after the National Fruit Collection at Brogdale Farm, Kent. PHC's Kate Blanchard claims FAST's trials have resulted in much-increased sales of its products. These include the Harpin range - of which PreTect, a natural plant product for the control of soft fruit rots, is an important example - and a number of mycorrhiza products. Scott strongly supports the Marden Fruit Show Society's policy of expanding grower interest in the show by introducing classes and competitions for other crops as well as apples and pears. Classes for cobnuts and walnuts, in particular, have been well supported, with the Walnut Club helping to increase walnut entries. The soft fruit classes - summer fruiting and everbearer strawberries, raspberries and blackberries - can be "a bit of a mixed bag" because they tend to be more weather-dependent due to their late-season cropping. However, the high-quality new varieties of all three fruits coming into production augur well for future shows. There has been increasing interest in the two pumpkin classes, Scott adds, particularly with the introduction last year of a class for matching pairs. Because it would be somewhat difficult to judge the biggest pumpkin class by weight, it is done on girth. Soaring demand for pumpkins for Halloween has led to an increase in production. The competitions for the five heaviest apples and pears have long been a fun feature of the show and always have a useful following - although nobody has come anywhere near matching Loddington Farms' world record apple, a Howgate Wonder, entered in 1997. The four classes in the tastiest tomato competition - baby (including cherry), classic, cocktail and beef - are again expected to prove very popular, thanks largely to the efforts of the Tomato Growers' Association. In the past, entries have come from all over the UK, including Wight Salads on the Isle of Wight. Chief steward for this competition is Carol Quinlan, the show's former secretary, from whom Gill Collins took over. The tastiest apple competition is always very well supported, simply because the entries automatically come from all the dessert apple class winners apart from the "any other dessert variety" class. However, Jonagold and Spartan will no longer be in the running because they have been transferred to another dessert class and their classes replaced with those for Jazz and Rubens, both commercially introduced over the past few years. "Entry for the tastiest apple competition is one reason for introducing Jazz and Rubens and it will be very interesting to see what the judges make of them," says Scott. "We felt that these (up-and-coming) varieties needed their own classes." Spartan and Jonagold have been very popular in the past but their production has dwindled considerably in recent years. That applies particularly to Spartan, which is no longer a commercial variety although quite a lot of growers still have a few trees, adds Scott. Possibly the next new class will be for Kanzi which, like Jazz, is a Braeburn/Gala cross and is being increasingly planted. Another big entry is expected for the apple juice competition, introduced more than 20 years ago. Thanks largely to the considerable increase in the number of growers making and selling apple juice during this period, entries have steadily risen. As a result, judging on the show's first day became impracticable and so it was brought forward a day or two so the results are available when the show opens. A few years ago this competition was split into two classes - for single variety and blended juices, either cloudy or clear. Cloudy juices usually win because most entries are of that type and their flavour tends to be superior. Chairman of the apple juice judges Dr David Pennell reckons that the overall standard of the entries has significantly improved over the past five to 10 years. As a result there has been very little to choose between the top juices. The winners have generally been made from fresh-picked mature fruit. Often the show's best-supported classes are those for long-term stored Cox and Bramley's Seedling. They are the most important commercially because the fruit is selected by the judges from orchards of the growers' choice - or from bins if the fruit has already been picked. It is subsequently analysed and judged on the basis of the analysis results, which are an indication of storage potential, skin finish and class I grade-out. The National Fruit Show's early history was somewhat chequered by events outside its control. In 1935, the show was cancelled due to adverse weather, and the same thing happened in 1937 when top fruit crops were devastated by severe frosts. The intervention of World War Two and its legacy of severe austerity in the post-war period meant that the event was wiped off the calendar from 1939 to 1947. So after an absence of nine years, the fifth show was held in 1948. Since then, the event has continued through good times and bad - even in 1987, when the South East was swept by winds gusting at over 160km/h, and in 1997 when severe frosts reduced many crops in lower-lying areas like the Kentish Weald by some 90 per cent. Other notable years in the show's history were 1967, when its name was changed to the Marden Fruit Show, 1984 when it was graced by the Queen, 1992 when it was moved from Marden to the Kent County Showground at Detling and 1999 when it was renamed the National Fruit Show. The Marden Fruit Show Society is notable for having had only seven chairmen and six presidents. Sadly its most recent president, Lord Sandy Bruce-Lockhart, appointed in 2007, died this summer. Some of his duties are being temporarily carried out by Lord Selborne, who was president from 1982 to 1993.